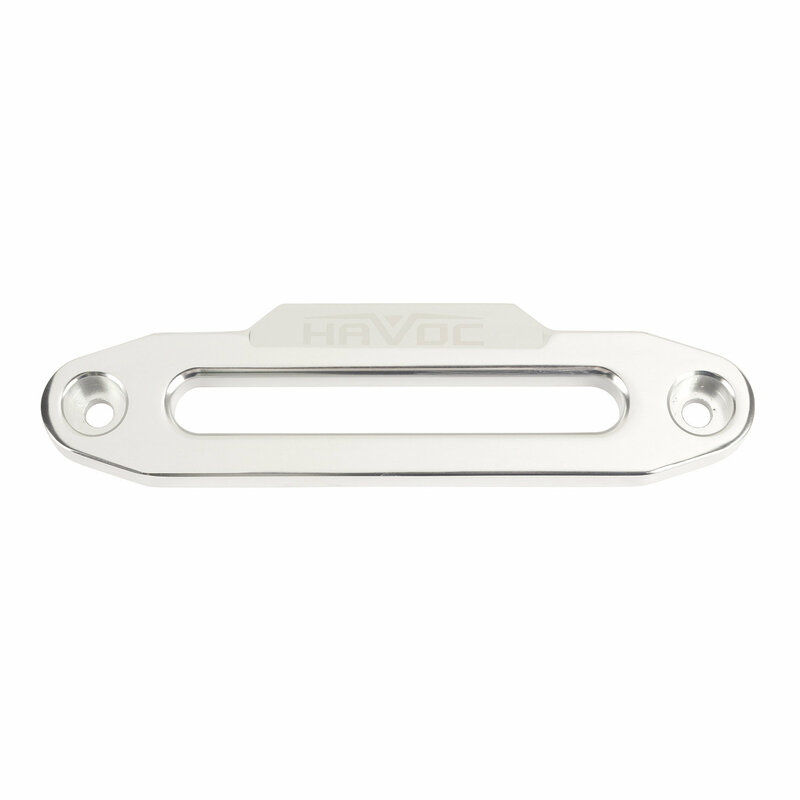 Havoc Offroad Hawse fairlead will help guide the winch to and from the spool. Engineered for Synthetic Ropes and includes mounting hardware. This unit has a polished aluminum finish which will hold up to harsh elements while adding an extra accent to the front of your bumper. Fitment is for a 10 inch bolt pattern center to center, and will not fray or tangle the rope. The Universal application is fitted for use on a 8,000 lb thru 15,0000 lb winch. 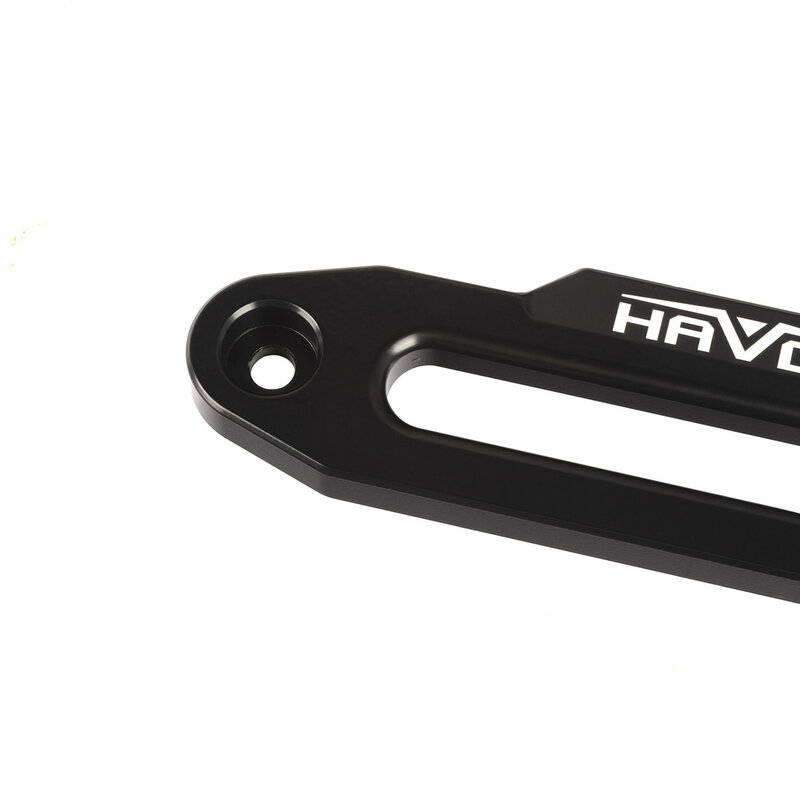 This fairlead is completely CNC Machined with 6061 Billet Aluminum and has the Havoc Logo laser scribed into the face of the fairlead for that aggressive statement when on the street or on the trail. 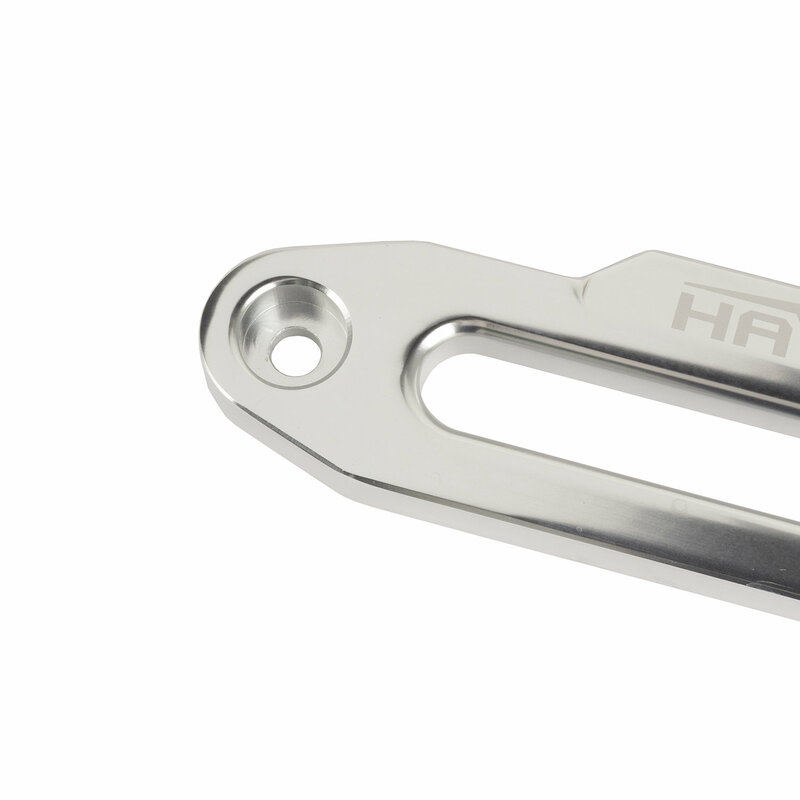 Durabilty: Made from CNC machined Polished Billet Aluminum which will stand up to the elements. Safety: Made for the use of a Synthetic Rope which is safer and lighter than a wire rope. You will not have to worry about the dreaded "Snap back" of a wire rope, and there will be no fraying or tangles in the rope. Universal Fitment: Engineered to fit 8,000lb thru 15,000lb winches.